It might have been related to an early shopping experience. I’ve been hooked on books since I first cracked the cover of one of those Little Golden Books. I may have been sitting in a grocery cart at the time. My mom sprung for a Little Golden Book each time she went to the grocery to keep me content while she was shopping. Thanks, Mom! Yes. I’d say it’s lush and descriptive. I want readers to visualize things in new and interesting ways as they turn the pages of my book. Dialogue is a great window into the unique and sometimes conflicting natures and perspectives of characters. I like to make dialogue ring true while also having a little fun with it. Although my characters experience some strong emotions, I naturally lighten my writing with flashes of humor. I like one word titles and I’ve always been attracted to old-school words. One of the reasons I feel “bespoken” fits so well as the title of my book is that the two main characters in the story, Casey Sloane and the nightangel Gabriel, are bound to attribute very different meanings to it. “Bespoken” is the kind of word I believe would come naturally to the nightangel Gabriel. He’s all about pledges and promises, even if unspoken. Even though Casey Sloane is an attorney and used to some archaic words, this one might stump her. “Bespoken? Huh? What’s that supposed to mean?” I can almost hear her saying it now. The way this word can allow for such different perspectives regarding its meaning is intriguing to me. I hope the title will be intriguing to readers as well. I keep a list of possible titles and add to it as I’m writing. With Bespoken, I waited until I completed the book before I chose the title. Choosing before then would have made me feel like I might have missed out on a better title I just hadn’t thought of yet. My list allows me to brainstorm about the title through the whole writing process without allowing musing over the perfect title to throw me off track. The message is all about bravery and fighting past your own fears and prejudices to find love. Another message I’d like readers to walk away with is to look for the extraordinary all around us. I have utilized my experience as a law librarian in a large law firm to write as authentically as possible about the legal world that Casey inhabits as an associate attorney at a top Washington, D.C. law firm. However, I haven’t used any real events in the story – except for the coffee-drinking. Casey and I both like fancy coffee drinks. The reason I haven’t pulled in real events or people is because I think it can limit the story and the storyteller. I want the most freedom of action possible for characters and the parameters of the story to be as wide as possible. Because I am someone who likes a good daydream – even if mine are quite ordinary compared to Casey Sloane’s – I can understand and respect the reasons why Casey enjoys dropping into her daydreams for a little R&R. I think that helps me write the daydream sequences so that they have some real integrity. The books characters are not based on anyone I know. I like my characters to be their own people, not a copy of someone already in existence. As I write about a character, they tend to develop quite a mind of their own. I love that. However, inspiration is everywhere and I try to pay attention to the big and little things around me that have a place in Casey Sloane’s world. Locations are a great example of this. Everyday things are another. The way you hail a cab in DC, the perfect latte order, the cadence of an impassioned text message exchange, and how real roses look and smell as they bloom in a real garden – these are the kind of true life experiences I like to blend into a story. P.L. Travers, Lewis Carroll, and A, A. Milne were early favorites. I read a lot of the classics (modern and old) in high school and college. Charles Dickens, Alexandre Dumas, the Bronte sisters, Jane Austen, Mary Shelley, Bram Stoker, Arthur Conan Doyle, Louisa May Alcott, Wilkie Collins, Harper Lee, and F. Scott Fitzgerald, were all on my reading list. I was introduced to Georgette Heyer in high school and devoured her regency romances. I read a lot of poets. I have always loves fairytales and mythology. It’s Jane Austen. She had incredible insight into people and their motivations and she infused this into her writing. She’s funny. Her characters are believable and memorable. This advice is really directed at aspiring authors. Writing is tough. It’s solitary. It’s demanding. And it’s scary to put yourself out there. It’s also thrilling when you feel the story coming together in the right way or a character taking form on your page in a way that makes you believe, for a second, they could turn up behind you while you’re waiting in line for your latte at your favorite coffee shop. Write the book! And good luck. Yes. I am a playlist addict. I built playlists especially for writing. After I was done with Bespoken, I created some playlists that were geared to the feel and flow of the story. There are four – yes, four – of them. I told you I was a playlist addict. They reflect the emotion of the story as it moves from start to finish. The first is: Into the Daydream and ties into the vibe of Casey’s daydreams. The second is: Every Day is Gray. You know how it is when things aren’t going your way. A playlist helps. The third is: Beloved Enemy. It’s got a thinking things through, back-and-forth quality to it. The fourth is a bonus playlist. It’s called: Ricki’s West Coast Vibe and it’s the chilled out background soundtrack to an important discussion between daydreamer, Casey Sloane, and her very sensible best friend, Ricki. Nobody ever told Casey how dangerous a little daydreaming could be. Casey Sloane appreciates the power of a good daydream. It’s the perfect antidote to the pressures of her hectic life as an associate attorney at a high-powered Washington, D.C. law firm. When the nightangel Gabriel takes up residence in those dreams, Casey is more delighted than surprised. Gabriel is the perfect mixture of danger, otherworldly beauty, and out-and-out temptation required to throw her daydreams into a state of perpetual overdrive. But when the nightangel sheds his wings and arrives in the real world for a real-time relationship with Casey, she gets a quick education on the unforeseen consequences of secret daydreams. His eyes shone like the sun through the treetops on a summer day. Casey thought that was kind of crazy considering he was a nightangel and preferred the darkness. All that light raining down on her was banging against her heart like it was a tin roof in a summer thunderstorm. The curve of his lips told her she would be swimming in the fiery glow of his attention if he had his way. She couldn’t help but admire him. She gazed up at the nightangel, the way an artist studies her own handiwork with proprietary pleasure. He was handsome, more than handsome; he was the definition of masculine in her personal dictionary. His nature was undiluted by modern convention. Everything about him was unequivocally male—strong, purposeful, and confident. He had a little bit of the knight in shining armor thing going but he played by his own rules. And he was smart as hell. Gabriel was perfect. He was everything she had ever wanted in a man and was afraid to get. A fan of soothing light stretched behind him and Casey realized it was the radiance of the nightangel’s wings spread out at his back. Yes, he was perfect and it didn’t hurt that he had a Class A set of wings sprouting out of his back either. He was some dream. He beamed down at her. The world tipped on its axis. The dreamangel was looking more irresistible than she had ever remembered him being—and that was saying something because vampires with the wings of fierce angels had a certain natural tendency to hold a mortal in thrall by virtue of their very presence. She tried to shake herself free of the spell he was casting over her. Doing this was difficult. She could not get enough of her angel. Maybe she was a kind of angel-holic. She shouldn’t like nightangels so much. They tended to take advantage of it. 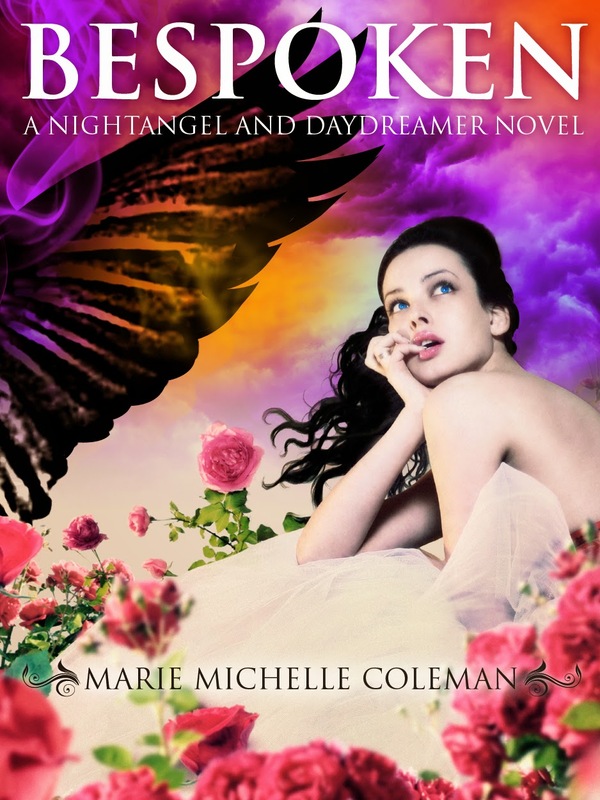 Marie Michelle Coleman is a paranormal romance and urban fantasy author whose book, Bespoken, is the first in the Nightangel and Daydreamer series. She's been in love with the written word since she was old enough to turn the pages of her first book. She's always had a fascination with vampires and angels. Sitting down at the keyboard and turning on the paranormal blender was a natural next step. Marie lives in the Washington D.C. area. She believes in the power of a compelling dream, the therapeutic merits of loud music, and the benefits of always being in the middle of reading a great book. Marie has a soft spot for a good romance and likes to laugh. Jane Austen is her favorite author. She'll probably always be a little in love with Mr. Darcy. She grows roses in her garden but no matter how hard she tries, they don't look anything like the ones in Casey Sloane's daydreams. 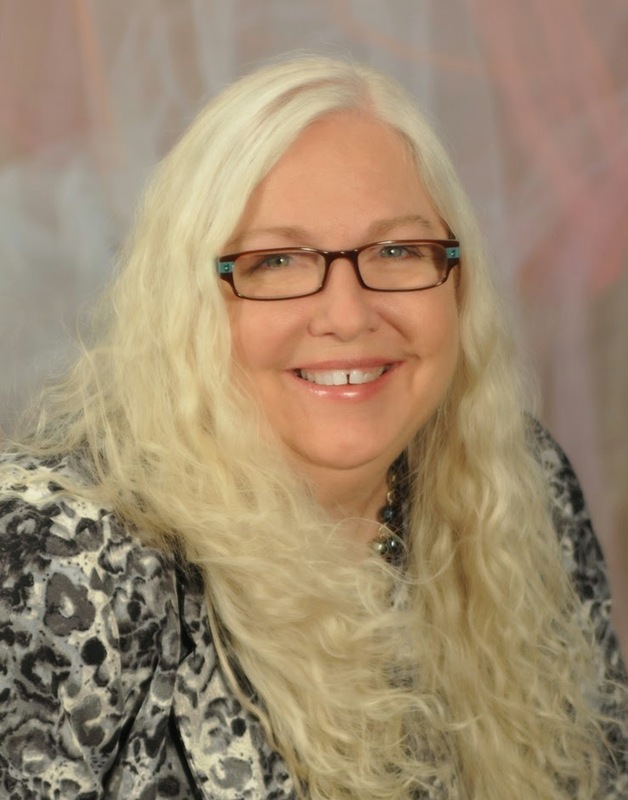 Thanks for being part of the Bespoken virtual book tour and for the author interview!